The toughest and fastest growing plant on the planet, the bamboo plant is also blessed with extraordinary antibacterial properties and can be weaved into extremely breathable fabrics. Our bamboo fabric is naturally thermo-regulating due to its naturally high absorption threshold for moisture, allowing the water droplets to evaporate quickly. To allow our clients to enjoy sound and rejuvenating sleep, Sofzsleep has included the Sanitized® hygiene function onto our Bamboo cover. Embedded in the textile for constant protection, Sanitized® treatment is effective against bacteria and offers optimal protection against mold, fungi and dust mites. It also acts as a 24-hour mattress deodorant, keeping your sleep environment squeaky clean and leaving you feeling protected all night long. Sanitized® has also been tested, approved, and is guaranteed 100% safe for everyone – even to those with sensitive skin! 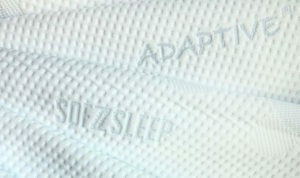 A cutting-edge fabric technology, CoolMax® ensures that all sleepers stay dry and comfortable throughout the entire sleep duration. This technology absorbs any moisture and perspiration from the body, pulling it across the large surface area of the mattress for evaporation to instantaneously take place. On top of that, the additional Swiss Heiq Adaptive® treatment complements CoolMax® by controlling the temperature of the sleeper’s body. The unique Adaptive® treatment is a thermoregulatory mechanism triggered off by a change in body temperature – activating the cooling properties when it senses an increase in body heat and deactivates once the body has cooled down. With these two technologies working in tandem, you will be guaranteed a comfortable and conducive environment for your beauty sleep. 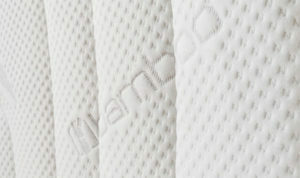 Check Out New Sofzsleep Yourself! Don’t just take our word for it, head down to our nearest showroom to experience the splendor of the newly upgraded Sofzsleep models! Our cool consultants will be waiting for you.